Leading Manufacturer of conveyor cleats, guides conveyor belts, rough top conveyor belts, spiral conveyor belts, cleated sidewall conveyors and conveyor belt joints from Coimbatore. We Sri Dharshini Enterprise provides the best in quality of cleats for the conveyor belts. There are 2 type of cleats Angular and Straight from 20mm height to 80mm height in white and green colour. We Sri Dharshini Enterprise Provide best quality profiles/guides for the conveyor belts. There are different type of profiles like 6mm, A, B, C, Square, Plain/Cogged. We Sridharshini Enterprise provide best quality of Roughtop belts. 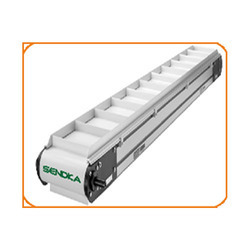 Which can be used the Box packaging, inclined conveyors, Loading Conveyors. 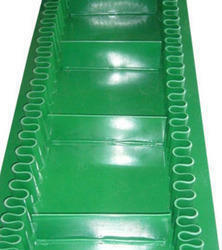 The belts provide best grip for the conveying purpose. We Sri Dharshini Enterprise have wide range of spiral dryer fabric to meet our client’s needs helping to reduce operation cost through energy efficient solutions. 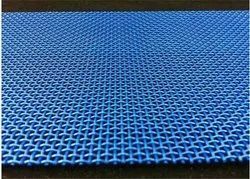 Also called as Spiral link dryer fabric or SLDF, the fabric is composed of abrasion resistant PET and hydrolysis. Depending on the filler wire added to the fabric, air permeability range from 600 to 1380 CFM.